With the Supreme Court indicating that it would deliver its verdict in the disproportionate assets case against V.K.Sasikala next week, the Tamil Nadu’s Acting Governor, CH.Vidyasagar Rao, appears to be inclined to wait and watch, as the rival factions battle it out for the numbers game in the assembly. SCENARIO 1: Supreme Court delivers its verdict on Tuesday, February 14, and the verdict goes against Sasikala. The AIADMK faction, led by her, elects a new leader, and submits a fresh letter to the Acting Governor, replacing her as the leader of the Legislature Party. The rival faction does not stake its claim. Option 1: The Acting Governor has to appoint the new leader as the Chief Minister, if Sasikala’s faction claims majority support in the assembly, and it is not disputed by the rival faction. The Acting Governor need not even ask the new leader to prove his strength in the assembly. 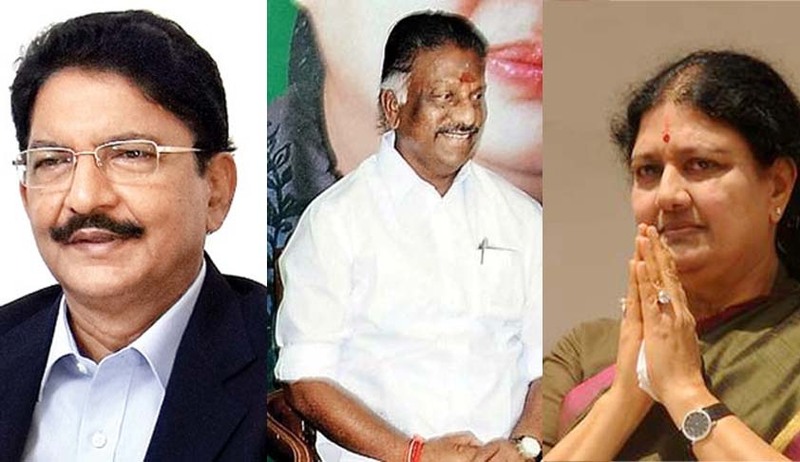 SCENARIO 2: The rival faction, led by OPS, disputes Sasikala faction’s claims to majority support, insists that OPS did not resign voluntarily, and therefore, wants first opportunity to prove strength in the assembly. This is irrespective of whether the SC judgment is in favour of Sasikala or against her. OPTION 2: The Acting Governor must give the first opportunity to OPS, as he is the incumbent Chief Minister, and ask him to prove his majority support within a time limit to be fixed. Before that, he has to let OPS withdraw his resignation, which he claims, was obtained under duress. Precedent: In 1979, the then Prime Minister, Morarji Desai, who had resigned, due to factional strife within the ruling Janata Party, came up with a claim to form the Government, when his rival, Charan Singh, staked his claim. The President, Sanjiva Reddy asked both Desai and Charan Singh to submit a list of their respective supporters, on an assessment of which the President concluded that Charan Singh stood a better chance to form a stable government than Desai. Reddy, accordingly, asked Charan Singh to form the government, and seek a vote of confidence in the Lok Sabha. However, Charan Singh resigned before seeking the vote of confidence, as Congress withdrew its outside support to him. How This Precedent Is Relevant : This precedent is relevant only insofar as the question whether the President is bound to consider the claim of the outgoing Prime Minister, who has resigned, to form the Government again. OPS is precisely following Desai here. However, subsequent Supreme Court’s verdict in the S.R.Bommai case (1994) has shown that Reddy was wrong in assessing the claims himself, and denying Desai the first opportunity to prove his majority. The Supreme Court has made it clear in Bommai that the Governor cannot dismiss a Chief Minister, without giving him an opportunity to prove his strength in the assembly, if he is willing to. The question of inviting the rival leader in the ruling party comes after OPS fails to prove his strength in the assembly. It is not for the Governor to assess the rival claims, and come to a conclusion as to who, in the ruling party, has the requisite majority. It is the floor test, which will prove it, Supreme Court has held in Bommai. If the Acting Governor ignores the claim of OPS, and invites Sasikala, then he will be ignoring this vital precedent, as OPS happens to be an incumbent chief minister, claiming to have majority support, despite his resignation, apparently under duress. SCENARIO 3: OPS stakes his claim, with or without a list of supporters, and gets the first opportunity to prove his strength in the assembly. Option 3: If the Acting Governor decides to give the first opportunity to OPS to prove his strength, it is obvious, that whatever list which OPS gives to the Governor, will be disputed by the other side. It is not for the Governor to verify the support claimed by either side, but simply go by convention, and ask the incumbent chief minister to prove his strength first. OPS may be a caretaker chief minister after resignation, but under the Constitution he is the Chief Minister with all the powers. And he has not been defeated in the assembly so far. Nothing prevents him from staking his claim, even after his so-called resignation, which has been accepted, following the Desai precedent. If OPS loses his vote of confidence, the Acting Governor invites the leader of the rival faction, if he claims majority support in the assembly. Here, however, the role of the Speaker assumes importance. If the Speaker belongs to the anti-OPS faction, the OPS faction can well give a notice of no-confidence in the Speaker. If that notice is pending, then according to the Supreme Court’s judgment in Arunachal Pradesh case last year, the House cannot take the confidence motion moved by the Chief Minister, unless the no-confidence motion moved against the Speaker is disposed of. Secondly, questions about the violation of whip issued by the officially recognized faction, and the claims and counter-claims as to the disqualification of members must be decided by the Speaker, if he survives the no-confidence vote against him. Those who are disqualified as a result of voting against the whip in the no-confidence motion against the Speaker, cannot vote in the confidence motion, to be moved by the chief minister. Accordingly, the strengths of the respective factions in the assembly have to be assessed afresh. SCENARIO 4: The Governor has to call the assembly session, for the purpose of the trust vote, and he has to decide the date. He cannot do so unilaterally, but only on the aid and advice of the Council of Ministers, according to the Supreme Court’s judgment in the Arunachal Pradesh case last year. OPS does not have the support of the entire council of ministers. Option 4: The Acting Governor may conclude that he could not get the aid and advice of the Council of Ministers to decide when to call the assembly session, and as per the Supreme Court’s judgment in Arunachal Pradesh, decides to consult the President, without choosing a date for the assembly session himself. In Arunachal Pradaesh, the Governor’s unilateral action in advancing the assembly session for the purpose was declared unconstitutional by the Supreme Court. SCENARIO 5: There is an all-pervasive atmosphere of violence, with horse-trading of MLAs, indulged by the rival factions. There is uncertainty as to whether a normal session of the assembly can be held to test the strength of the rival factions. Option 5: The Acting Governor, has to use his discretion, and decide whether the conditions in the State are ripe for imposition of President’s rule. In his report to the Centre, he should clearly explain why the assembly session for the trial of strength could not be held, before he recommends President’s rule, according to the Bommai Judgment. However, he cannot recommend President’s rule, merely on the ground that horse-trading is going on, is likely, if the assembly session is called, as per the Supreme Court’s judgment in Rameshwar Prasad. SCENARIO 6: Supreme Court or High Court intervenes and orders peaceful conduct of the assembly session for the trial of strength, on the precedents set by the Supreme Court in Uttar Pradesh, and recently in Uttarakhand. Option 6: The Governor may not have any role to play in this. In the case of Uttar Pradesh, in 1998, the Supreme Court directed a composite floor test, for two rival leaders. In 2016, the Supreme Court monitored a floor test for the ousted chief minister in Uttarakhand, Harish Rawat, and restored him to the office, after leaving the Centre with no option but to rescind the President’s rule. But it did not allow the nine disqualified MLAs to vote. The MLAs were disqualified by the Speaker, against whom a no-confidence motion was already pending. Therefore, the MLAs subsequently challenged their disqualification, but this case has not yet been decided by the Supreme Court. But the Supreme Court will intervene only if the President’s rule is imposed, and the assembly kept under suspended animation. It is unlikely that it will intervene on an Article 32 petition, before it delivers its verdict in the assets case, or assuming that the Governor may recommend President’s rule, without exploring other options. SCENARIO 7: The Supreme Court bench comprising Justices Pinaki Chandra Ghose and Amitava Roy is split on the guilt of Sasikala in the assets cases against her. While one Judge finds her innocent, the other Judge finds her guilty. The case is referred to a three-Judge bench. Option 7: Obviously, the Acting Governor cannot wait till the new bench hears and decides the matter. In that event, the Acting Governor can first ask OPS to prove his majority. If he loses the vote, he can ask the rival faction to elect a new leader, in lieu of Sasikala, as she would not be able to provide a stable government with the Supreme Court's Damocles' Sword hanging over her head in the next six months, with uncertainty looming large. Article 164(4) can be used only in certain exigencies like the need for an expert to be brought in, or some political exigency, which would rule out any leader other than a non-elected member, the Supreme Court has held in B.R.Kapoor. Clearly, Sasikala does not fit either of these two criteria, laid down by the Supreme Court.